Sehen Sie, wie unsere Kunden AutoTURN® zur Realisierung ihrer Projekte einsetzen und lesen Sie über Unternehmen und Ingenieure, die mit unserer innovativen Software ihr volles Potenzial ausschöpfen konnten. Planning safe routes down the mountain with AutoTURN. Wind energy companies are modeling sharp turns and complex geometry on projects across North America. Adding AutoTURN’s technology to the bus loop design creates a Central Station fit for a king. 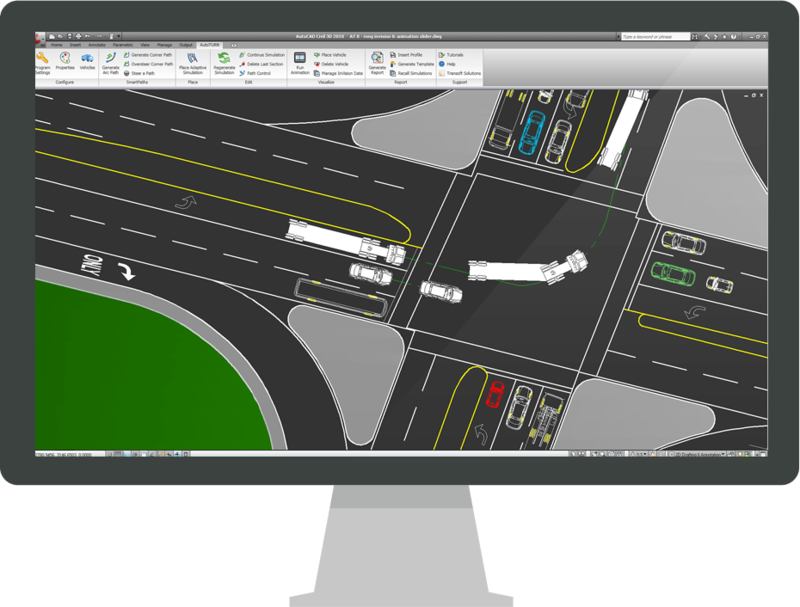 Learn how a traffic engineer from Melbourne, Australia uses AutoTURN to assess the turning implications of a wide variety of vehicle types on design layouts in the early stages of the design process.